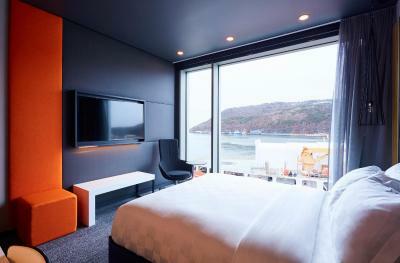 Lock in a great price for Alt Hotel St. John's - rated 9.4 by recent guests. Bed super comfy, staff very nice, food excellent!! I LOVED it!! 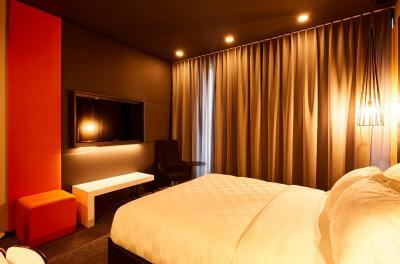 Everything exceeded my expectations, from staff, room, comfort etc. Loved it so much, going back again in a couple of weeks!! Good breakfast, although eggs would be nice too. Linen great. 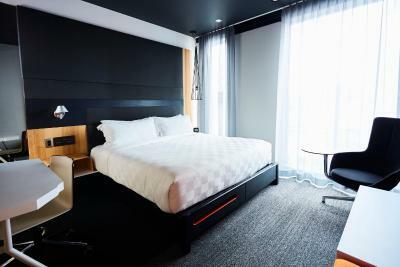 Friendly staff (they recognized us from a previous stay), comfortable rooms, convenient underground parking, continental breakfast in the lobby with some of the seats overlooking the harbour. Loved the scenic and cool common areas (lounges) and great pastries at breakfast. Furniture and fixtures interesting - got some ideas for our bathroom reno! The staff were extremely helpful. Breakfast was simple but perfect for us, coffee, delicious pastries and fruit. 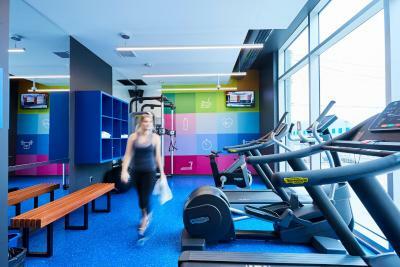 One of our top picks in St. John's.Situated in St. John's, Alt Hotel St. John's features free WiFi. Boasting a terrace, this property is located a short distance from George Street and Anglican Cathedral of St John the Baptist. 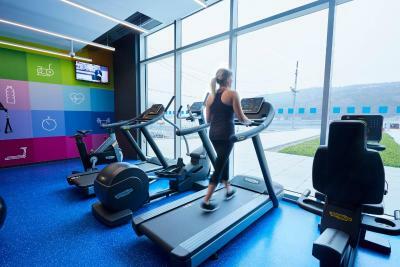 Guests can make use of a fitness centre. At the hotel, rooms come with a desk. 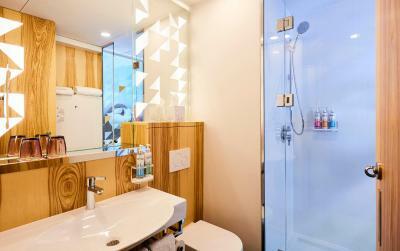 Rooms include a private bathroom with a shower and free toiletries. 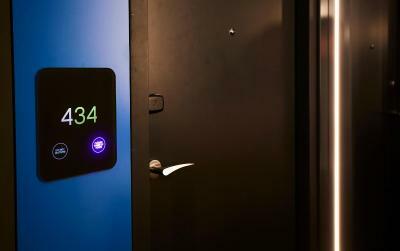 Guest rooms include a flat-screen TV with cable channels. 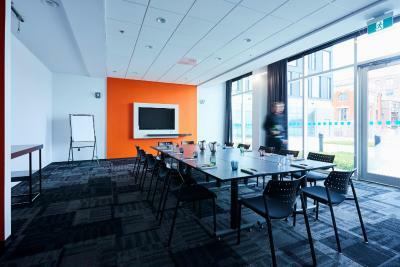 A business centre is at guests' disposal at Alt Hotel St. John's. 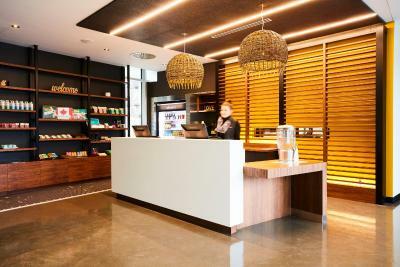 Staff at the accommodation are available to provide information at the 24-hour front desk. Signal Hill is 1.6 miles from Alt Hotel St. John's, while Government House is 750 yards from the property. The nearest airport is St. John's International Airport, 5 miles from the property. 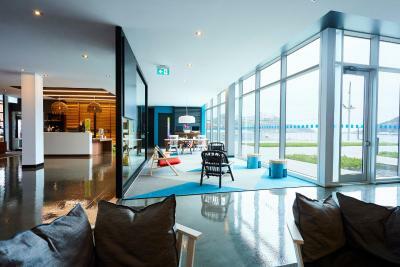 Alt Hotel St. John's has been welcoming Booking.com guests since 25 Jan 2018. When would you like to stay at Alt Hotel St. John's? 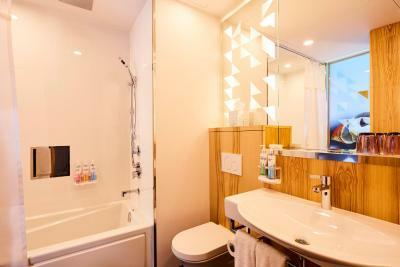 This double room features air conditioning, tea/coffee maker and cable TV. 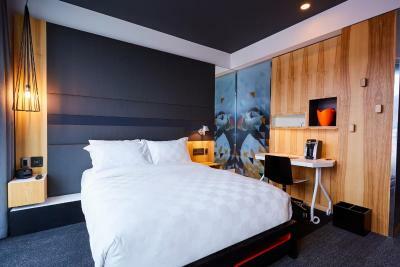 This twin room has a flat-screen TV, tea/coffee maker and iPod dock. 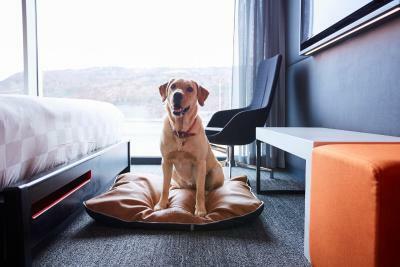 House rules Alt Hotel St. John's takes special requests - add in the next step! Alt Hotel St. John&#39;s accepts these cards and reserves the right to temporarily hold an amount prior to arrival. Alt Hotel St. John's accepts these cards and reserves the right to temporarily hold an amount prior to arrival. woke up middle of night 4 am with fire alarm. Out of room for hour and not 1 i'm sorry from staff. No fridge in the rooms!?!? Really nice welcoming for our dog! Friendly and helpful staff. 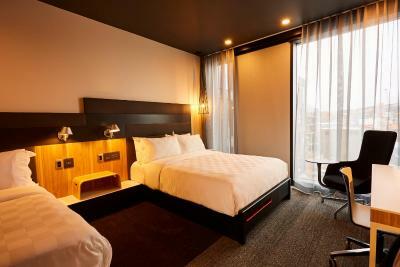 Well designed rooms and comfortable beds! There was a gap in the 2 blinds that let light right In on my face in the bed early in the morning. There is no mini fridge in the rooms. Very small rooms. Even with a king bed, the room isnt bigger. 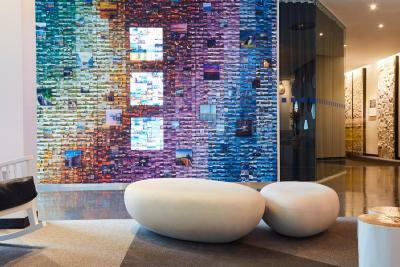 No bar or lounge in the hotel, it was tempting to go to the boutique hotel across the street for a lounge. Ice machine had issues. I liked the atmosphere of the hotel.